If you have a suspicious mole I will happily see you in my clinic at short notice. 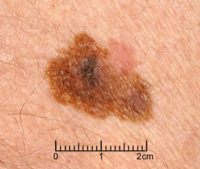 Patients with melanoma usually present with a new brown or black lesion (approximately 70%), or a change in an existing mole. (approximately 30%). 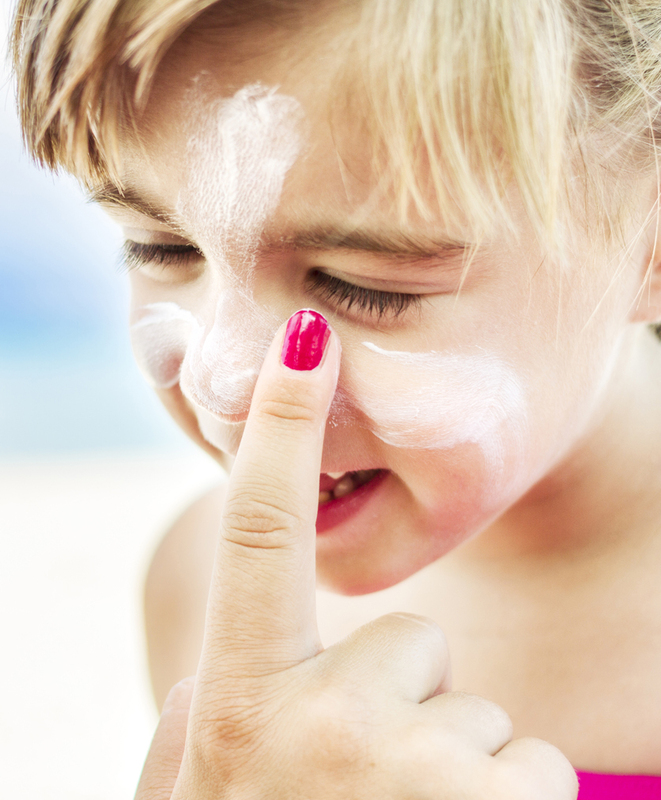 Melanoma occurs most commonly in sun exposed areas, but can also develop in other sites such as the finger-nails, eyes, or gastro-intestinal tract. Melanoma can spread to the lymph glands of the neck, axilla, or groin, and to distant organs such as the lungs, or brain. Suspicious lesions are usually removed whole under local anaesthesia and are sent for histological analysis. The results are usually available within two weeks. Patients should attend clinic with a relative or friend to be informed of the results. The thickness of the melanoma, and the presence or absence of ulceration, are major determinants of the prognosis. Thicker melanomas have a worse prognosis than thinner melanomas, ulceration is associated with a worse prognosis. For a melanoma of <1mm thickness, a 1 cm WLE is appropriate, for a melanoma of 1-2 mm in thickness a 1-2 cm WLE is appropriate, for 2-4 mm a 2-3 cm WLE is appropriate, and for > 4cm, a > 3cm WLE is appropriate. The investigation and management of a patient with malignant melanoma is usually discussed in a multi-disciplinary team (MDT) meeting: these are held weekly at Addenbrookeâ€™s hospital. The MDT will recommend CT scanning the chest, abdomen, and pelvis in patients with moderate or high risk melanomas, (and in some patients the brain as well) to make sure that the melanoma has not spread to these organs. The MDT will recommend, for all but the most low-risk tumours, that the patient be offered sentinel lymph node biopsy (SLNB). This is an operation that allows the sampling of the lymph node most likely to contain melanoma. If the result is positive, the patient can be offered complete removal of the lymph glands (for example in the groin or axilla) as a separate operation. Patients that have had a melanoma removed and the diagnosis confirmed by histological analysis are offered wide-local-excision (WLE). This involves removal of a cuff of skin around the scar from the excision biopsy: the aim is to reduce the potential for local recurrence of the melanoma in the nearby skin. Patients undergoing SLNB will have this investigation performed at the same time as the WLE. The diagnosis can be made from a consideration of the history, and examination of the lesion. Simple algorithms such at the 7-point checklist can help clinicians unfamiliar with melanoma to recognize worrying lesions. Patients with lesions that are suspicious of melanoma should be referred to an appropriate specialist for urgent review with 2-weeks. The use of radiotherapy is usually as a second line treatment after surgery to the lymph glands, or in areas of the body where surgery is not possible (such as the brain). Chemotherapy is offered to patients with advanced disease on the advice of the MDT.